John Allen Chau, a young American missionary, took a ride with local fisherman to India's North Sentinel Island, home to a tribe of hunter-gatherers totally cut off from the modern world around them. His aim was to reach them with the Gospel, but his trip ended in his tragic death. People are forbidden by law from visiting the Sentinelese, "in a bid to protect their indigenous way of life and shield them from diseases," according to AFP. The Indian government has even prohibited tourists and citizens from taking pictures or videos of the tribespeople. According to AFP, Chau, 27, "tried to reach the Sentinel island on November 14 but could not make it. Two days later he went well prepared. He left the dingy midway and took a canoe all by himself to the island." The moment he set foot on the island, however, Chau was reportedly killed in a "flurry of arrows." "He was attacked by arrows but he continued walking. The fishermen saw the tribals tying a rope around his neck and dragging his body," the AFP's source said. "They were scared and fled but returned next morning to find his body on the seashore." An anonymous source reported to Reuters that before he was killed, Chau wrote he was "doing this to establish the kingdom of Jesus on the island... Do not blame the natives if I am killed." 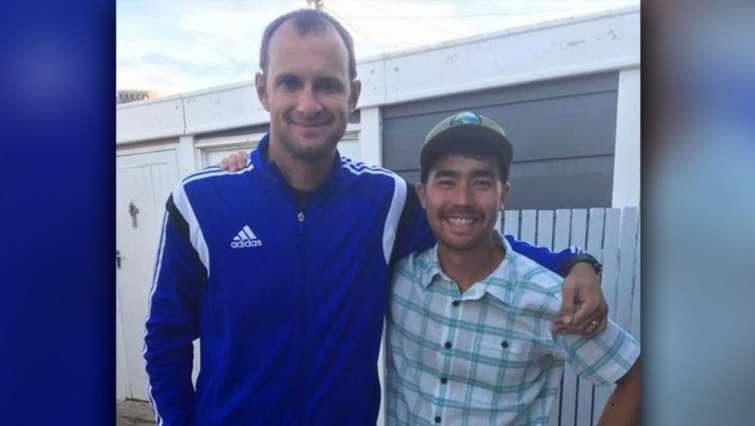 "He was a beloved son, brother, uncle, and best friend to us," The Chau family announced in an Instagram post. "To others he was a Christian missionary, a wilderness EMT, an international soccer coach, and a mountaineer. He loved God, life, helping those in need, and he had nothing but love for the Sentinelese people."